Democracy, as an institutional form, makes it much much more difficult for the rulers of a political entity (exemplarily, a nation-state) to murder a substantial percentage of that political entity’s population. This, it seems to me, is sort of the bottom line, w/r/t democracy. This post is focussed just on section I of Chapter 25. It is very sketchy. In this chapter we shall consider the influence of the growth of capital on the fate of the working class. This basically means – it’s business time. Marx has, by this extremely late point in Capital Vol. I, developed almost all the resources he feels he needs in order to speak (comparatively) plainly about matters close to the centre of his theoretical analysis. The most important factor in this investigation is the composition of capital. Marx distinguishes two ways of analysing the composition of capital – the value-composition and the technical composition of capital. NP has already written eloquently on the meaning of the distinction between ‘value’ and ‘material’ here. The fundamental economic issue, w/r/t the composition of capital, is obviously the difference and the relation between labour and other factors of production. This is what the chapter will centre on. There are a number of different things in play here. On the one hand, there’s the distinction between technological advance in the means of production, and human labour. Technological advance increases human productivity – increases the productivity of labour – but this increase in productivity is a threat to labour, it produces unemployment, throws people out of work because fewer people are necessary to produce the same amount of stuff. On the other hand, there’s an exchange-value dimension to this – the ratio of the money paid by capitalist firms for factors of production other than labour, and money paid in wages. It’s a matter of indifference to capitalist firms how their money is spent, so long as it generates profit, and ideally as much profit as possible. The relation between these two modes of analysis – analysis of actual labour and actual technology, and analysis of the cost to capitalist firms of wages versus other investment, is a complicated one – Marx discusses it in the chapter, but I’m not going to discuss it in my summary. (It leads us into surprisingly deep waters quite quickly, imo, and while I want to return to it at some point, I’d rather get the bare bones of the analysis out here first). Marx’s basic point is clear. If you have the same ‘ratio’ (however that’s understood) between constant and variable capital – between labour and other factors of production – and you’re dealing with capital accumulation, then the demand for labour is going to increase. And this expansion in demand for labour may exceed the increase in the number of workers. the requirements of accumulating capital may exceed the growth in labour-power or in the number of workers; the demand for workers may outstrip the supply, and thus wages may rise. This is assuming the same organic composition of capital (however that’s understood), plus capital accumulation. As simple reproduction constantly reproduces the capital-relation itself, i.e. the presence of capitalist on the one side, and wage-labourers on the other side, so reproduction on an expanded scale, i.e. accumulation, reproduces the capital-relation on an expanded scale, with more capitalists, or bigger capitalists, at one pole, and more wage-labourers at the other pole. This is telegraphic, and relies on stuff that Marx discusses elsewhere in Capital. It’s probably right, but, with apologies, I’m basically going to fiat it, or pass it by, for now. “Under the conditions of accumulation we have assumed so far” things are good for workers. Capital accumulates; as capital accumulates, more workers are needed; as more workers are needed (assuming population doesn’t rise to a comparable degree) wages rise. Land of milk and honey for the proletariat. Marx aims to critique various aspects of this analysis. First Marx notes that even given this analysis’s conclusions, the fundamental coercive relationship between capital and labour remains in place. these things no more abolish the exploitation of the wage-labourer, and his situation of dependence, than do better clothing, food and treatment, and a larger peculium, in the case of the slave. Now Marx moves on to the next step of his analysis. Various possibilities are on the cards here. – The price of labour keeps rising, because accumulation is also rising to such an extent that this rising price of labour does not interfere with accumulation. – The price of labour rises to such an extent that it interferes with profitability. This reduces or annuls the incentive to invest, which in turn reduces the demand for labour, which reduces the power of labour again. The mechanism of the capitalist production process removes the very obstacles it temporarily creates. i.e. (as already said): if increased accumulation raises the wage-rate to such an extent that profitability is reduced, this will remove the incentives to capitalist investment, thereby reducing accumulation, thereby reducing the demand for labour, thereby reducing wages, until such a point at which the wage-rate is low enough to enable renewed accumulation, with profit as the incentive. It is these absolute movements of the accumulation of capital which are reflected in relative movements of the mass of exploitable labour power, and therefore seem to be produced by the latter’s own independent movement. In the next post I’ll try to address more central stuff. Hopefully to god there won’t be such a long gap between posts this time.. So I wrote a long and extremely angry post about the final chapter of the new Freakonomics book. (I read a PDF version of the final chapter, which now appears to have been removed at the publisher’s request. I’ll put up a link if I find one.) Ranting obscures the issues, though, so first off I’ll just do a link compilation. Krugman has takedowns here, here and here. Brad DeLong has takedowns here, here and here. [Those last two links are especially good.] William Connolley and Tim Lambert both have excellent critiques. Yoram Bauman reproduces an all-too-revealing email exchange with Levitt here. 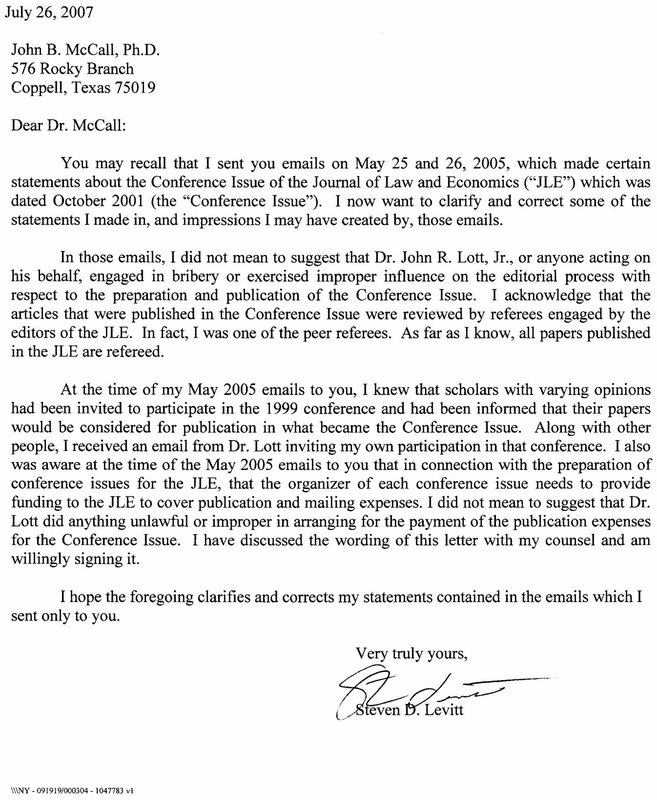 Levitt’s initial smokescreen response is here. Dubner’s follow-up ‘rebuttal’ is here. The Romm post which Dubner chooses as the object of his counter-attack is here. Real Climate discusses the actual issues here. Lots more googleable stuff – but that’ll do for now. 1) Even having read some of the online critiques, I was shocked by how ignorant and deceitful this chapter is. Do not take Dubner’s online summary as a fair representation of the chapter’s egregious contents. If sizeable reductions in greenhouse gas emissions will not happen and temperatures rise rapidly, then climatic engineering, such as presented here, is the only option available to rapidly reduce temperature rises and counteract other climatic effects. Such calculated misrepresentation should not be treated with anything but contempt, or responded to with anything but condemnation. This book needs to be buried. I do think there are a bunch of things in the chapter that give misimpressions. That is just wrong and I never would have said it. Go to Dubner’s post for some of the context of these. Caldeira also writes, politely: “I think everyone operated in good faith”. I disagree. for the record, I am getting roughly an equal number of criticisms like yours from people who are on the other side saying we are too accepting of the current global warming thinking! The obvious analogy here is a good one: if Levitt and Dubner had published a book critical of evolutionary biology, and had written a Sunday Times article entitled ‘Everything You Know About Evolutionary Biology Is Wrong’, and had followed this up by writing, in an email exchange, “I do think also that there is something to be said for raising some skepticism about evolutionary biology … its claims are stated and restated as if they are fact, when in practice I suspect, and good scientists agree, that there is enormous uncertainty” – it would not make things better to then add “for the record, I am getting roughly an equal number of criticisms like yours from creationists!” Because the creationists are wrong.